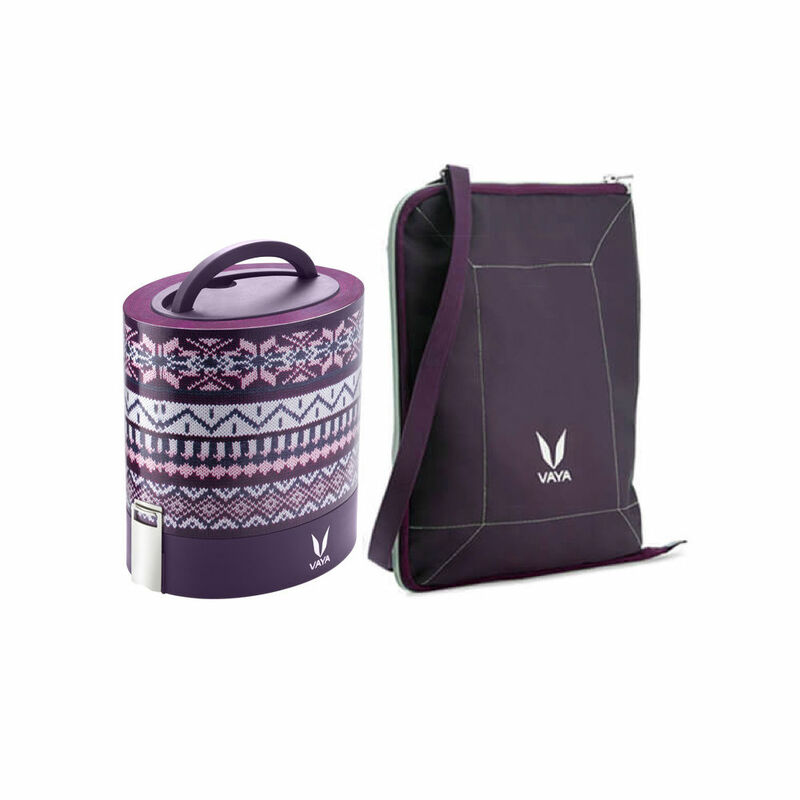 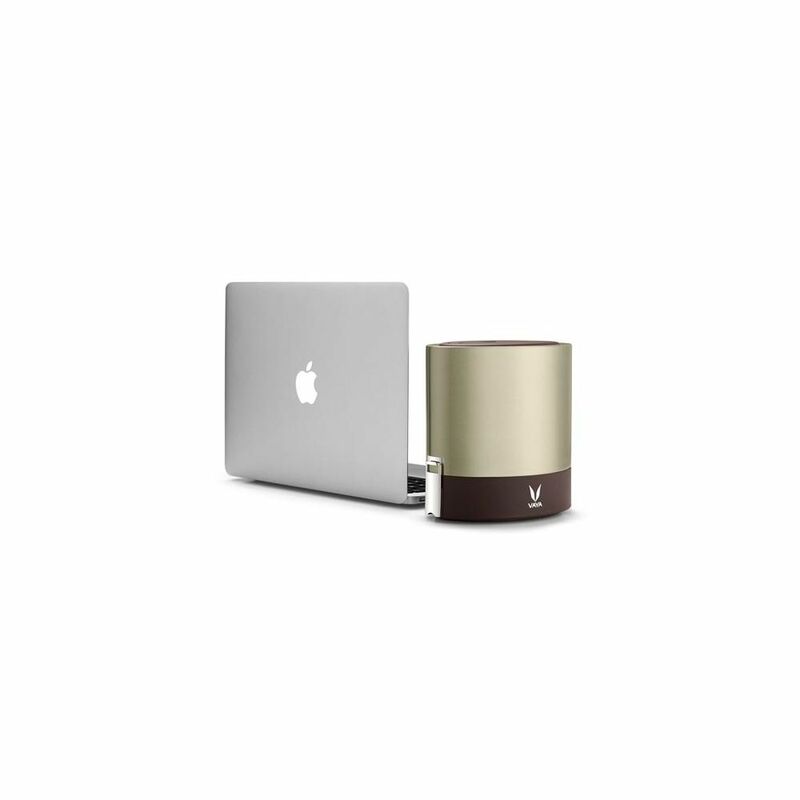 Introducing Vaya Tyffyn, a designer and stainless steel lunchbox for carrying warm and fresh home-cooked meals. Now pack your lunch with innovation with VacuTherm technology that keeps food warm and fresh for up to 4 to 6 hours. 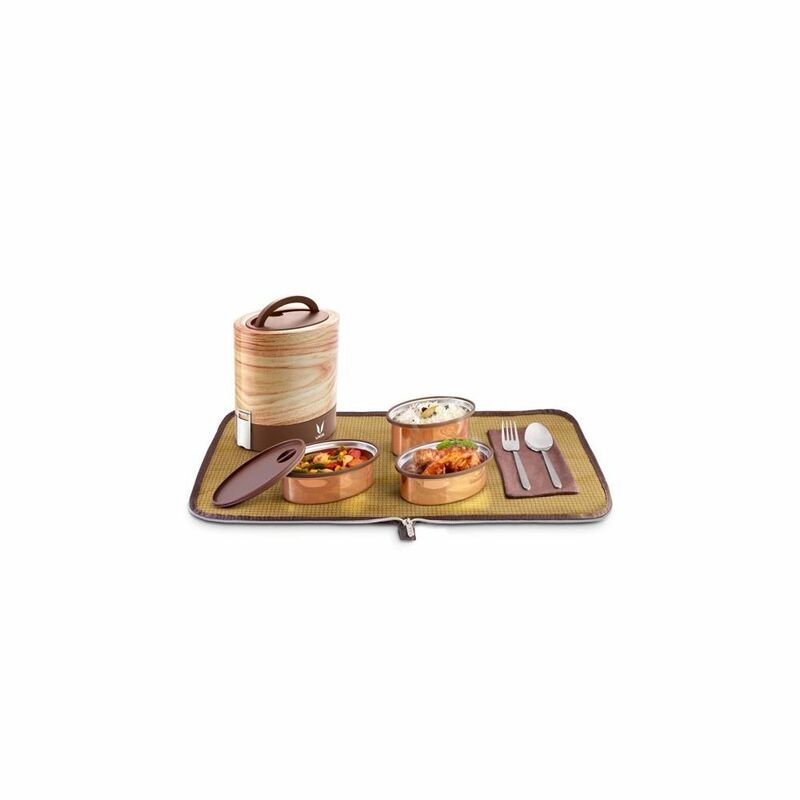 With a compact oval stainless steel body, Vaya Tyffyn is one of the thinnest tiffin boxes. 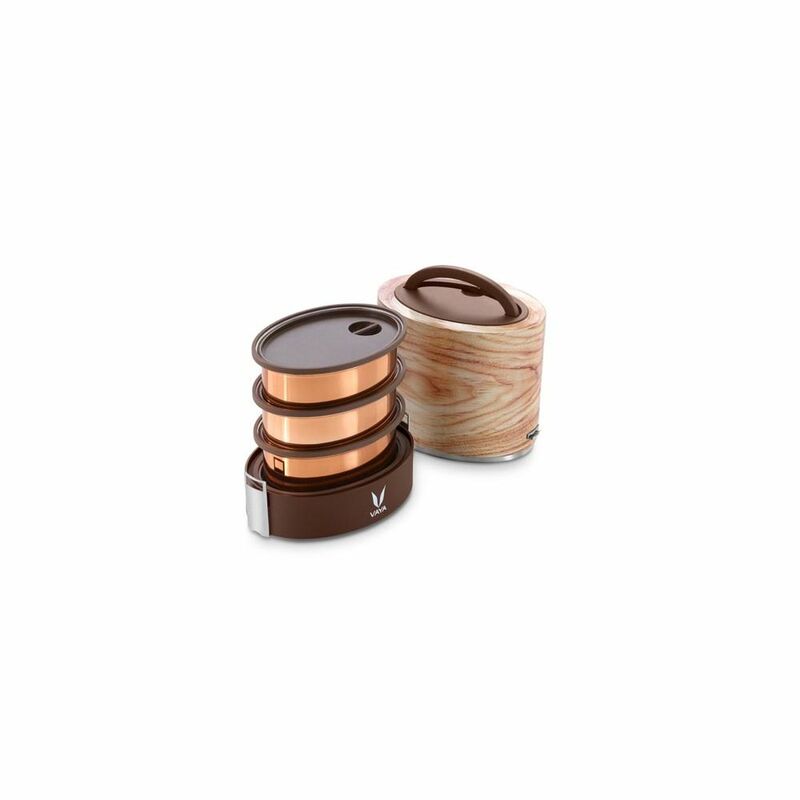 Each Vaya Tyffyn comes with a set of partitions as accessories. 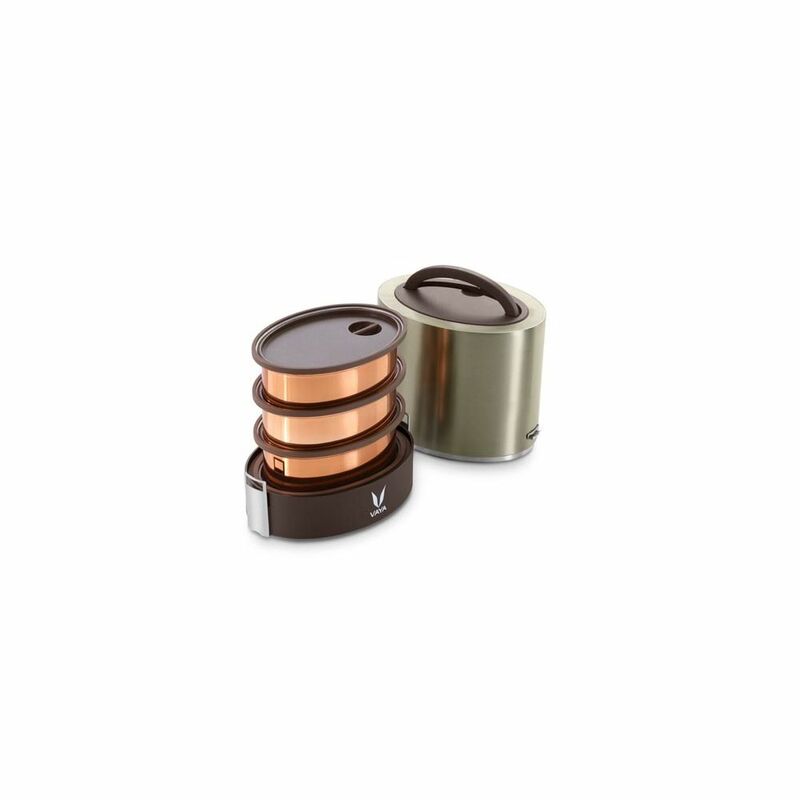 Partitions help you carry varieties in a single container, and hence a 3-container Vaya Tyffyn can help you pack up to 6 different types of dishes. 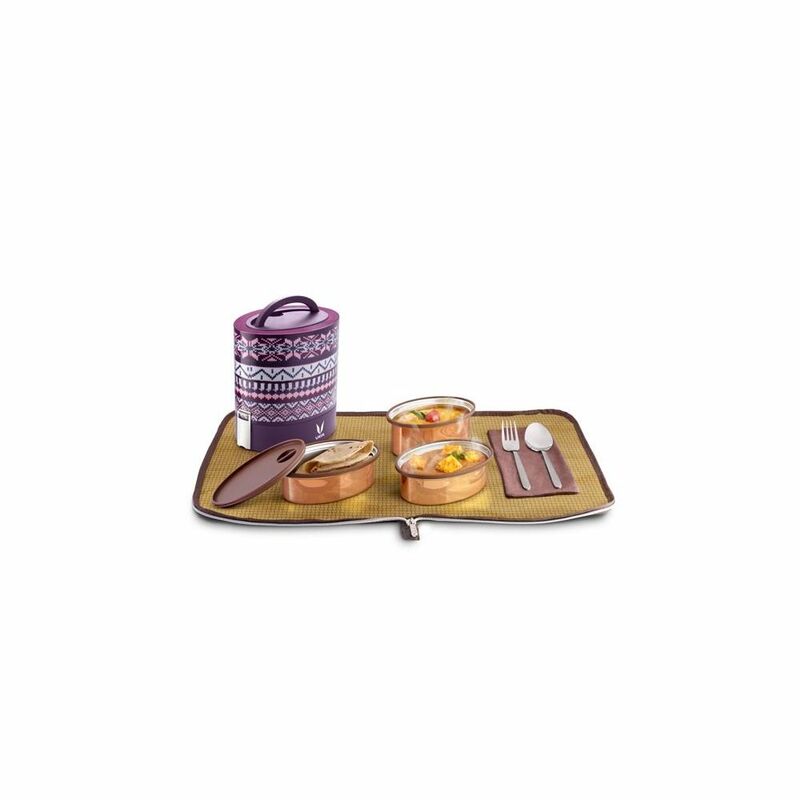 And hey, no more boring dabbas to carry around. 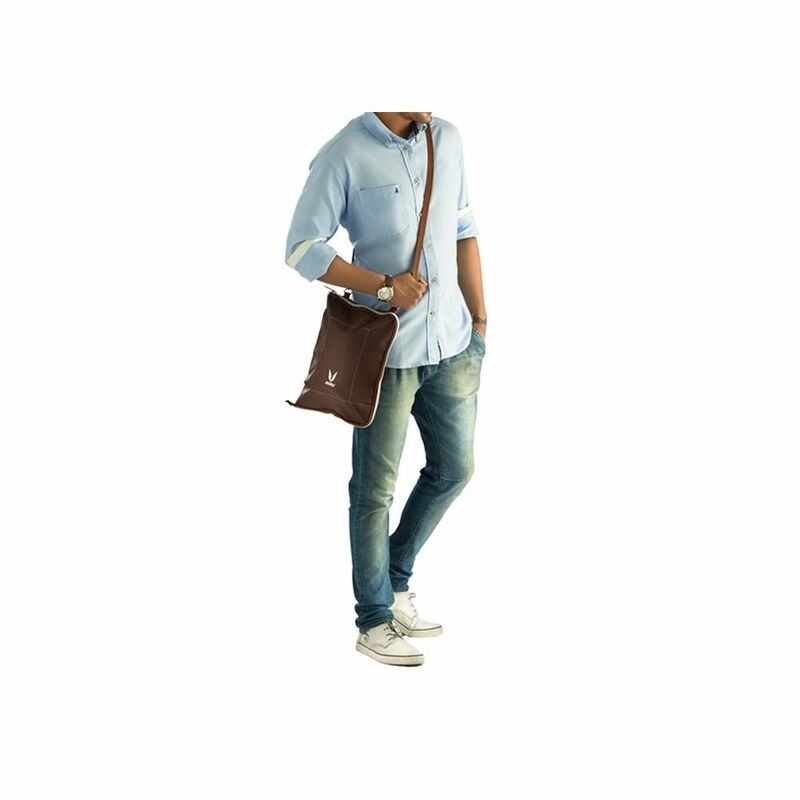 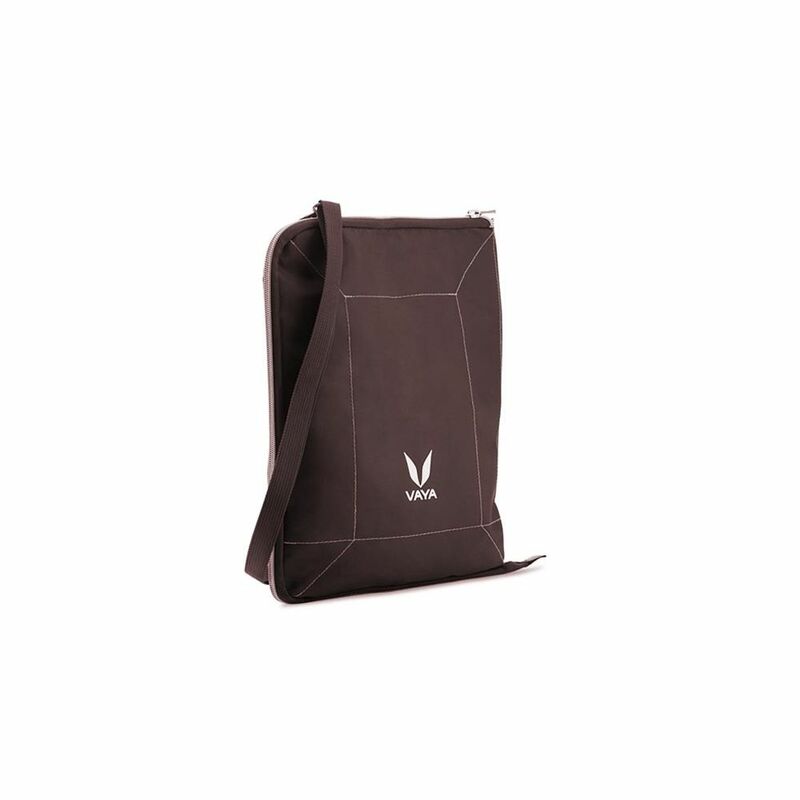 Introducing BagMat, a smart, stylish shoulder bag that unzips to be a table mat. 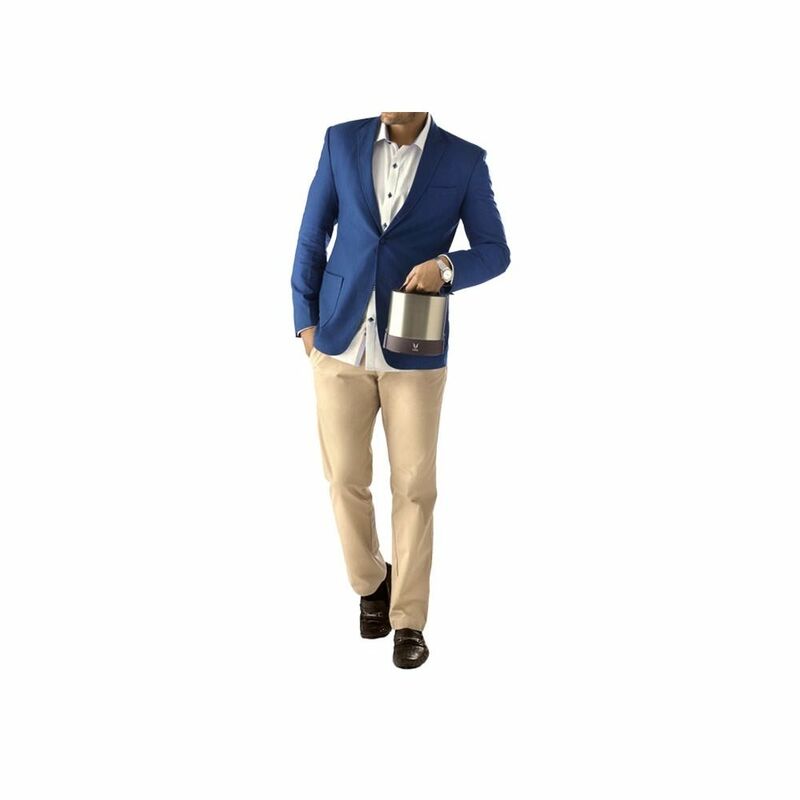 You can carry any type of tiffin in your Vaya BagMat.